There are only a few places in Disneyland Paris where you can get a photo like this, and most of them are not accessible for guests. 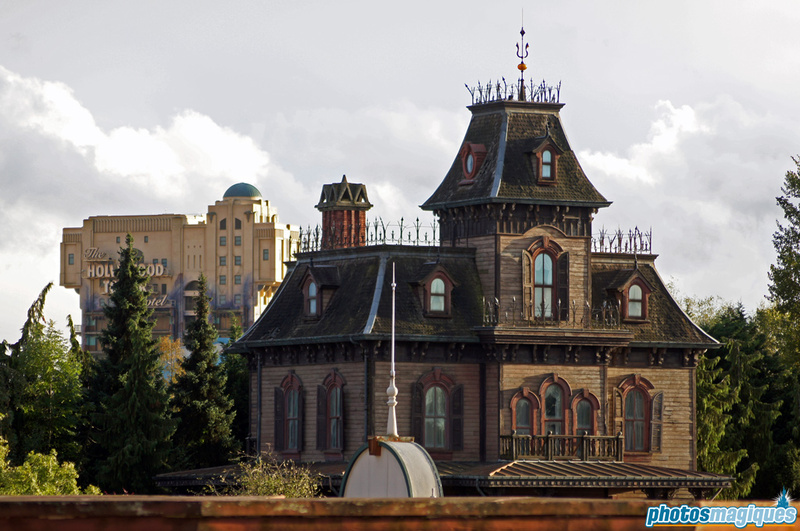 Luckily the Legends of the Wild West walk-through offers this stunning view of The Twilight Zone Tower of Terror looming behind another run-down building: Phantom Manor. Different parks, different styles, yet the same eerie look and feel.